Jenny Frame is a journalist at the Aesthetics journal. Having achieved a first-class honours degree in Journalism from Edinburgh Napier University, she has experience in writing for both online and print publications, magazine production, television and radio. 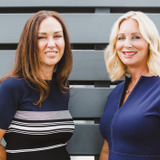 Dr Charlotte Woodward and Dr Victoria Manning discuss how general practice led them to co-owning a business and their recipe for a successful working relationship. 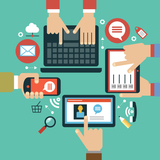 Aesthetics sits down with clinic owners and marketing professionals to find out how to create and promote the most relevant online content to attract patients.